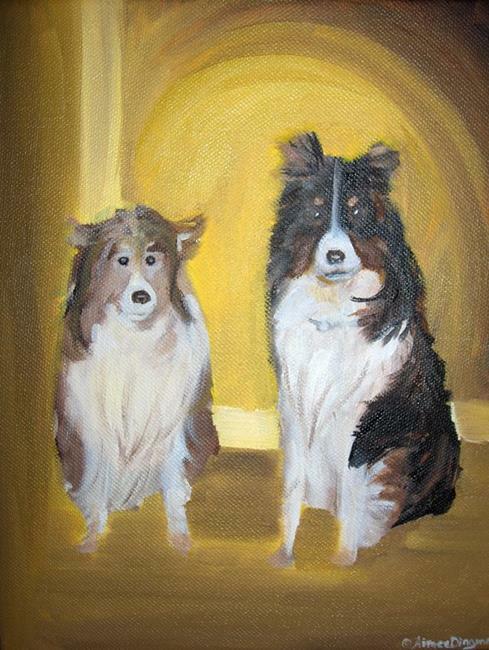 These lovely dogs belong to Linda Henthorn. Named for the main characters of the "Thin Man" series of films, these two dogs have a lot of personality. 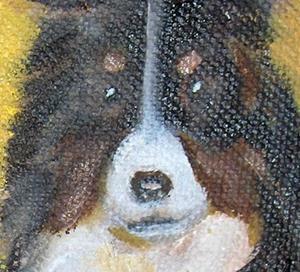 This is the first time I've ever painted dogs, and working small was a real challenge for me. I was very happy to get the chance to swap with such a talented artist (who paints dog portraits far better than I could hope to!) and I was also pleased to have the experience of branching out and trying something new.